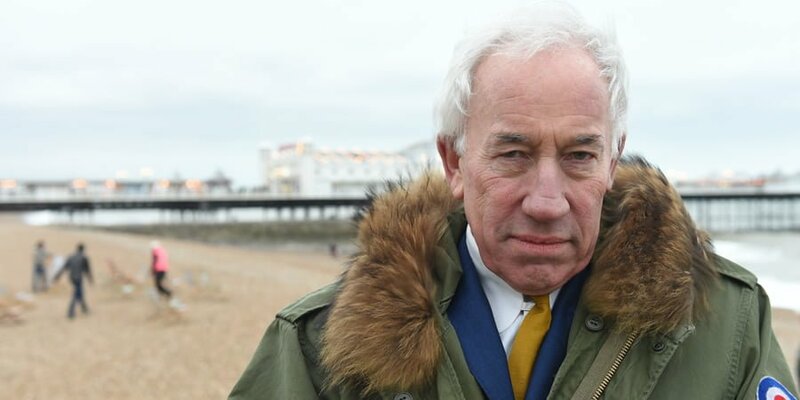 Simon Callow gets started as The Rebel next week in a new sitcom on Gold. We can’t wait. He plays an old Mod who used to tear up Brighton, but now reclines in the deck chairs. In fact, a Bromley home in Lansdowne Avenue, Orpington provided key interiors. And the Bromley Tennis Club accommodated the unit base. In Clerkenwell, Islington, St James Church hosted an art exhibition for show, with extra scenes in the church garden and crypt. And in Camden, Lethaby Gallery inside the Central School of St Martins in Granary Buildings, was used, along with Russell Square and Pied Bull Yard. The sitcom is adapted from The Rebel cartoon in The Oldie about Henry Palmer, who, at 70 looks like a respectable citizen. But underneath it all he’s not. The show starts Wednesday 20th July at 10pm.